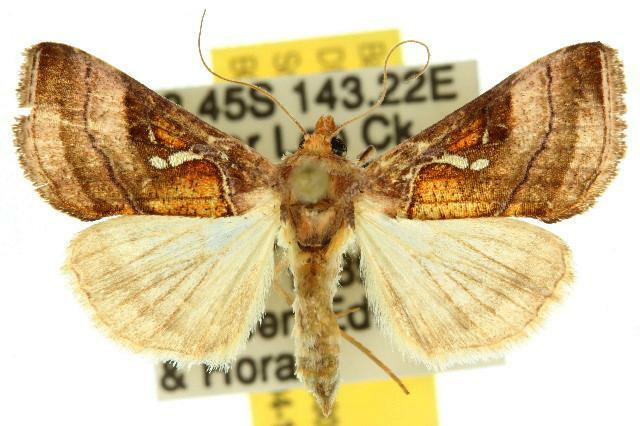 The adult moths of this species have brown forewings, each with a pattern like dripping dirty milk ending in a separate white drop in a wide bronze area across the middle of the wing. The hindwings are pale brown with dark veins. The wingspan is about 2 cms. Part 33, Supplement 3 (1865), pp. 838-839.